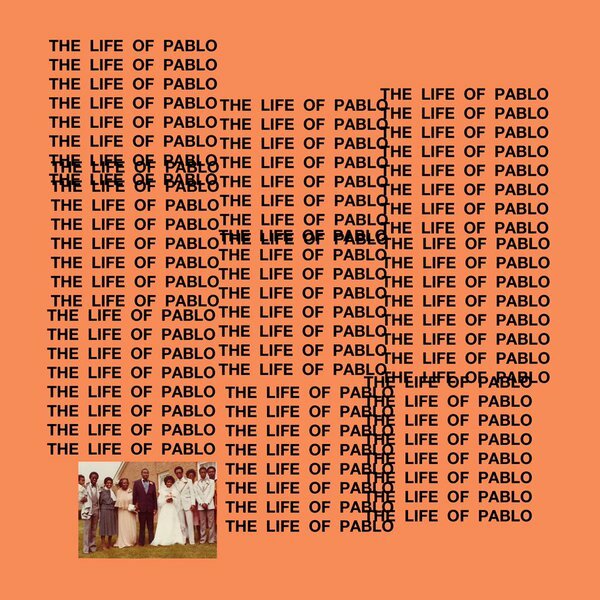 We’ve now had well over a month to let The Life of Pablo knock around our speakers, so we can dive into some of the more overlooked moments of lyrical nuance found deeper within the album; certain peaks, valleys and subtle utterances, which may have largely escaped listeners thus far. Admittedly, while Kanye West did explicitly forbid outlets like Pitchfork and the New York Times from commenting on his albums, it looks like a renowned Hip Hop publication (like The Source) was able to escape Ye’s auxiliary editorial critique relatively unscathed. Let’s not forget the ubiquitous taunting and hollering from Swizz Beatz, who absolutely saturates “Famous,” possibly emboldening Kanye with enough bravado to ultimately deliver his “I made that b*tch famous” line about Taylor Swift. If anything, Swizz does receive an honorable mention for delivering such an emphatic performance across the track. Without further ado, let’s turn up the volume and tune in. 1.) “30 Hours” is a track reminiscent of Kanye’s “Last Call” on The College Dropout. The instrumental gives us the perfect canvas to receive a practically spoken word reflection and lyrical backstory on Kanye’s ex-girlfriend that’s so anecdotal and hilarious, it just can’t be fiction: “Got a hotel room, three-stars for you/ You call down for an omelet/ Girl it’s 5 in the morning/ You realize we at the DoubleTree, not the Aria/ Only thing open is Waffle House, girl don’t start with me.” These words, so far removed from rap music’s typical glamour, are somehow perfect and seem to have been overlooked by popular media to this point. 2.) “Real Friends” was one of the first early releases from the album, dropping right off a Soundcloud page and reverberating instantly across the Internet. 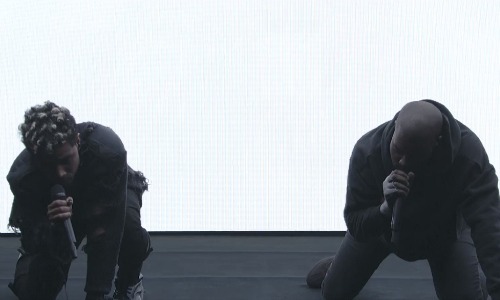 A few lines from the song shed light on Kanye’s vulnerability, despite his fame: “I had a cousin that stole my laptop that I was f*ckin’ b*tches on/ Paid that n**ga 250 thousand just to get it from him/ Real friends.” Something about the line is so stripped down it seems to resonate with anyone owning a MacBook. Kanye goes on to double-back and references this line again toward the end of the album on “No More Parties in LA.” “And as far as real friends, tell all my cousins I love ‘em/ Even the one that stole the laptop/ You dirty m*therf*cker.” There’s nothing more satisfying than coming full circle. 3.) On “Feedback,” a purposefully distorted beat serves as a call to attention. Kanye uses his refrain to acknowledge police brutality and flip it into an ironically catchy hook: “Hands up/we just doing what the cops taught us.” He utters the line a few more times and concludes with the fatalistic: “Hands up, Hands up/ Then the cops shot us.” The album as a whole avoids political commentary, so this line is a standout. 4.) “Freestyle 4” is just what it sounds like, a rambling track so evocative and ridiculous, it’s caught between the perfect and detestable. As Kanye slides into an entirely unhindered stream of boozy yet otherwise unadulterated consciousness, he ponders some of life’s most pressing questions: “What if we f*cked right in the middle of this m*therf*ckin’ dinner table?/ What if we just f*cked at the Vogue party/ Would we be the life of the whole party?/ Shut down the whole party/ Would everybody start f*ckin’?/ Would everybody start f*ckin’?” Considering the deep sociological implications of his quandary, you can’t blame him for asking. 5.) Finally on “Wolves,” we receive enough poetic verses and Biblical resonance to make up for any transgressions experienced on “Freestyle 4.” Toward the end of the track, the levels finally quiet down and the howling falls away, leaving us alone with Frank Ocean to deliver us home: “There’s light with no heat/ it cooled out, it’s cool out/ Life is precious/ We found out, we found out…” Even though it’s widely rumored Kanye is still toying with the track, as far as we’re concerned, it’s a perfect resolution.